Since the introduction of the Prevent duty in 2015, there has been a major shift in teachers’ and school leaders’ confidence in tackling extremism in schools: 94% of teachers now report feeling confident in implementing the Prevent dutycompared to 71% a year ago. Yet despite significant progress, the prospect of tackling difficult topics with pupils and parents can be worrisome, with some teachers feeling they lack the specialist knowledge required. But teachers shouldn’t feel constrained by a lack of specific expertise. 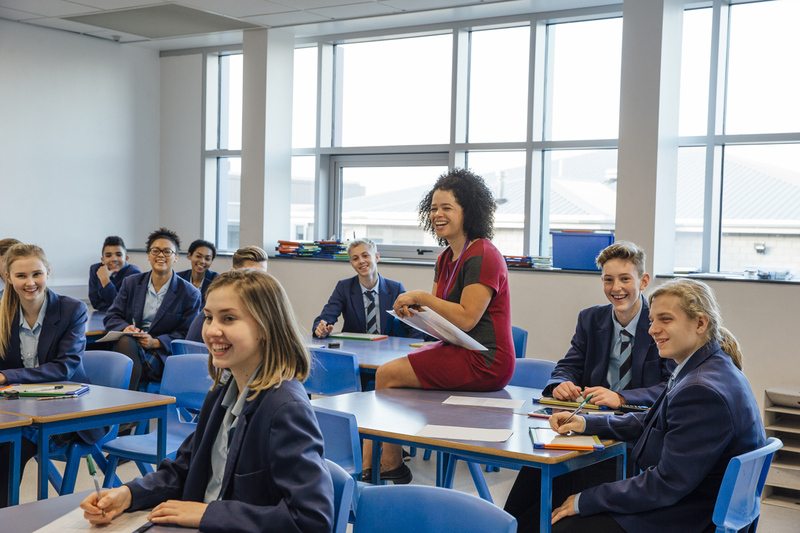 In this second installment of our blog series on holding discussions around extremism, we outline how you can have productive conversations in secondary schools should controversial arguments or questions arise. When teaching about extremism and terrorism, current affairs can make learning more accessible, relevant and relatable. However, fears of exposing a gap in knowledge can deter teachers from tackling certain news stories, like the war in Syria, or domestic terror attacks and their causes. One simple way to avoid this is to link specific stories back to their general topical context. News stories are a great source of examples, and a means of linking to wider themes, so it’s possible to discuss them broadly while referring to topics like global politics and citizenship. Take the topic of conflict in the Middle East, for instance. You may be able to use stories about the war in Syria, the rise and fall of Daesh and the impact of the refugee crisis as a basis for critical thinking around different forms of government and political ideology, to explain the transnational aspect of terrorism, or discuss principles such as humanitarian intervention and the rights of refugees. The key to planning these discussions is to ensure they are structured to show the difference between extremism and liberal democratic philosophies. For example, this could be done by sharing compelling human stories that shine a light on the lives of people living in conflict-affected areas or positive stories of people who have turned their back on extremism. It is important to acknowledge that terrorism can take many forms and attacks can be committed for many different reasons. In fact, since 9/11, we have seen a wide range of groups carrying out terrorist attacks, all with different motivations. For example, the Real IRA car bomb in Birmingham in late 2001, the murder of the politician Jo Cox by a white nationalist in 2016 and the Manchester Arena attack by an Islamist suicide bomber in 2017. When a terrorist act is committed in the name of religion, some may immediately identify that the religion itself is the cause of violence. However, it is important to point out to your pupils that many of those who carry out such attacks are influenced by those who have manipulated religious texts to convey a different message, rather than the religion itself, and few of those drawn into terrorism have a deep knowledge of faith. It is therefore important to educate pupils that there isn’t necessarily a causal or de-facto link between religion and violence. All major religions advocate peace, which sits in stark contrast to the nature of terrorist attacks. There are many other factors which can lead to a vulnerable person being radicalised and inspired to commit an attack. These include, but are not limited to, their background, their experience of grievance in society, and personal circumstances such as involvement in crime or exposure to negative influences. To help you structure these discussions, you may find it reassuring to have a stock of information, evidence, examples and teaching frameworks to draw on. This isn’t always easy to find. Thankfully, Educate Against Hate has a great network of partners who can help you find the most up-to-date research and information. You can find detailed articles and reports on evolving topics such as the psychology of foreign fighters, the rise of right-wing extremism and the use of misinformation to undermine democracy on website’s such as the ISD and The Institute For Global Change. Resources such as Global Acts of Unity, UNICEF – Rights Respecting Schools and The Deliberative Classroom offer a general structure into which current affairs can be introduced, to help promote fundamental British values. The Getting on Together and Extreme Dialogue lesson plans can help clarify the distortion of non-violent messages by religious extremists and explains how this links with factors that drive people to be radicalised. Finally, the activities contained within REsilienceand Shared Space Toolkithelp teachers promote strong community relations and shared values in response to religious, racial and cultural intolerance.